It is common knowledge that every individual and business, regardless of its industry, should invest in some form of cybersecurity software. All too often, a familiar news story flashes across our television screens: another major company has had a data breach, affecting the data of hundreds of individuals. The now common and frequent occurrence of these hacks has made cybersecurity software a necessity for individuals and businesses alike. As with any kind of software, testing and QA is vitally important, if not absolutely necessary. Without proper testing, cybersecurity software companies are unable to ensure customers that their devices and data are secure from any possible attacks. Software testing and quality assurance can be testing performed either in-house, nearshore or offshore. Each brings about its own benefits and challenges. Whether a cybersecurity software company chooses to test its software using an individual or a dedicated team of QA engineers, in-house or via an outsourced software testing provider, finding the right person or provider for testing security software is key. QASource’s team of expert engineers have put together a worksheet that will help software companies determine whether the individual or provider is right for them. This worksheet contains a series of 25 questions that a software company can use to evaluate the proficiency of its potential new hire or software QA provider in the security domain. Having knowledge of the different categories in the security domain will allow the tester or QA provider to identify which category of the security domain the software falls into and test accordingly. A tester or QA provider that has an understanding of the latest security testing techniques, methods, and tools will be able to thoroughly and accurately test the security software. 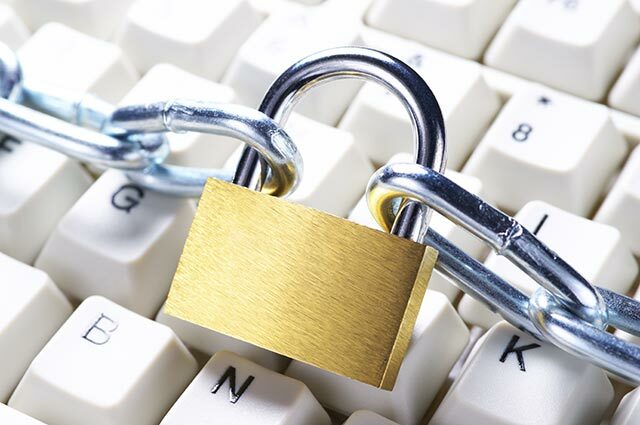 It is critical that security software is compliant with industry standards. A QA provider or tester that is familiar with compliance standards will be able to correctly validate and ensure that the software is compliant. 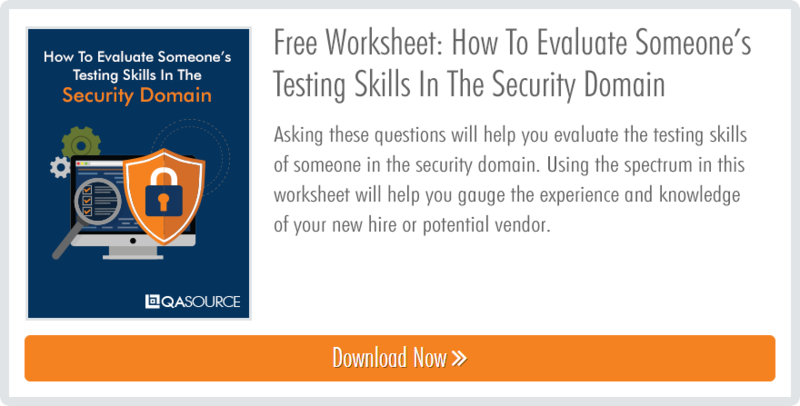 The questions in the worksheet How to Evaluate Someone's Testing Skills in the Security Domain will help security software companies evaluate the experience, skills and knowledge of their potential hire or software QA provider. Discover the questions software companies should ask a potential hire or QA vendor in the security domain. Download your free worksheet below!